A fantastic space for guests when they stay and doubling up as a second lounge too. 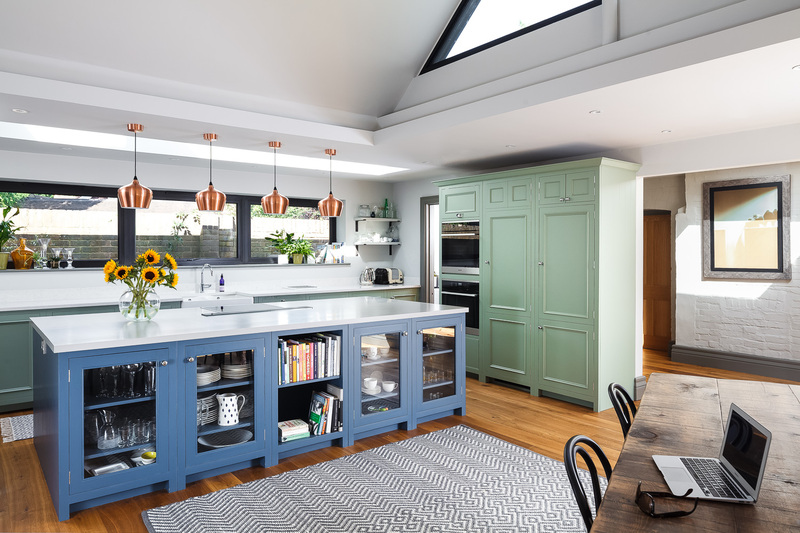 Utilising the space and making the most of Ian's stunning artwork, the space was transformed. 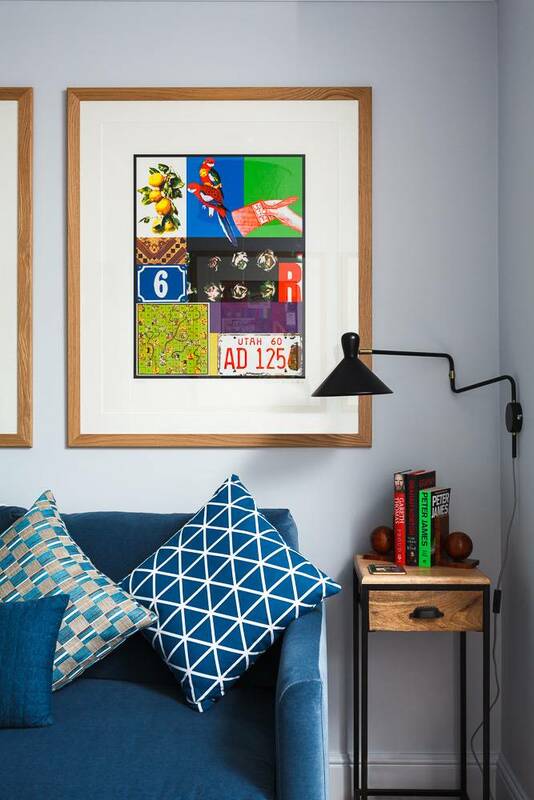 Ian wanted a brand new look for the guest bedroom in his home - one that was great when guests came to stay over and one that he could also use as a reading room to really utilise all the space in his home and make the most of the stunning artwork he had nowhere to display before. 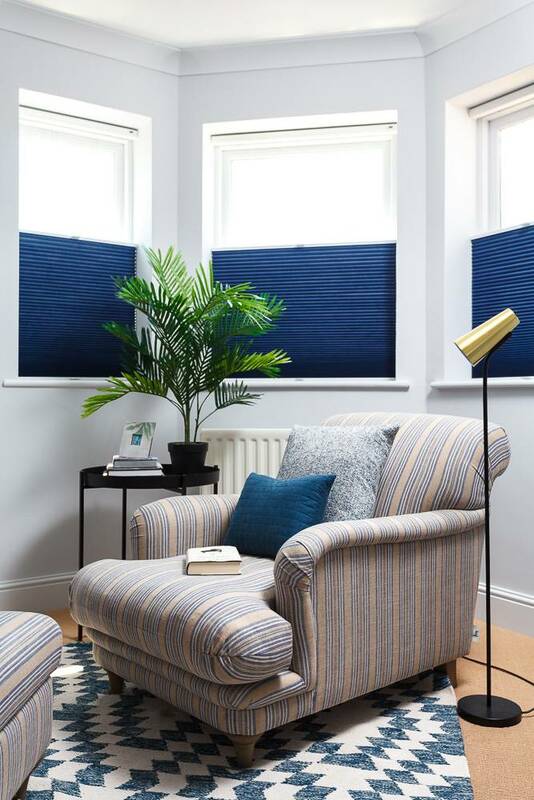 We worked with Ian to breathe new life in to this room in his home, designing a really contemporary space for when friends and family stay over whilst also creating a brand new reading and sitting room for long afternoons with a book! Before we started, this little nook had a door to be a cupboard. 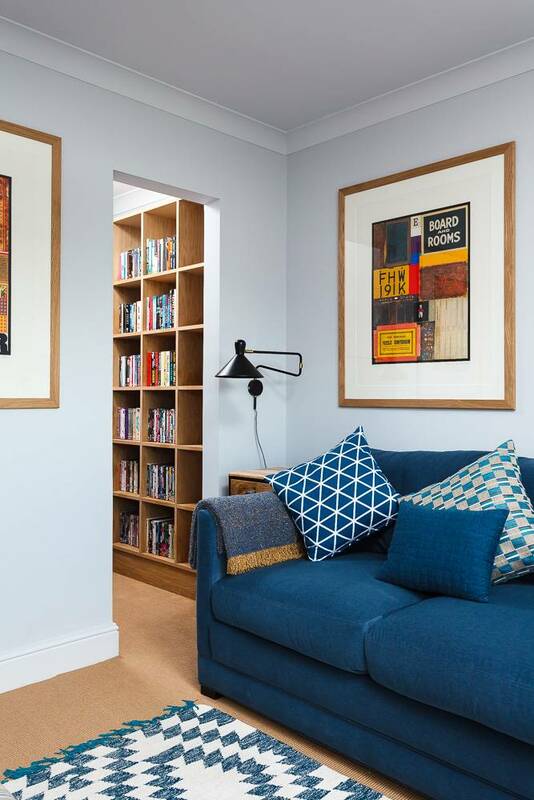 We took that off and brought this area in to the room to create a walk in library, packing in tons of storage and adding a real sense of space too. The mix of geometric patterns on the rug and cushions bring a fab pattern to the room, without taking over from the artwork and all in all, we just love it!